Treat effectively Sudden Sensoneural Hearing Loss, Tinnitus, and Vertigo by acupuncture with MD specialist doctor of 40 yrs experience. 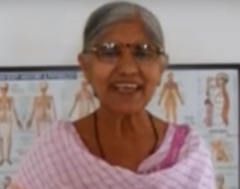 Modern 4.5* rated acupuncture clinic with dedicated staff in Nashik. No drugs or side effects. Hearing loss symptoms Trigeminal neuralgia symptoms may start as acute sharp stabbing pain on one side of face. It may start at angel of jaw and radiate along junction line of three branches of trigeminal nerve. The pain is so severe that it is described as electric shock. It is worsen by touch, cold and chewing. Patients may shield it to protect from touching. There may be only one attack but can be recurrent and may come without warning. What is Idiopathic Sudden Sensoneural Hearing loss? ISSHL in short is hearing impairment occurring suddenly without any evident reason. The sudden hearing loss is at once or over several days. Hearing loss in one ear is generally seen. Sensorineural hearing loss: Damage to the hair cells or nerves that sense sound waves cause sensorineural hearing loss. This nerve deafness should be considered as medical emergency. Adults with hearing impairments have long hearing disorders list which include conductive and sensorineural reasons. They can have hearing-impaired and need treatment according to cause of disease. Hearing loss binaural or hearing loss subliminal can also be present. 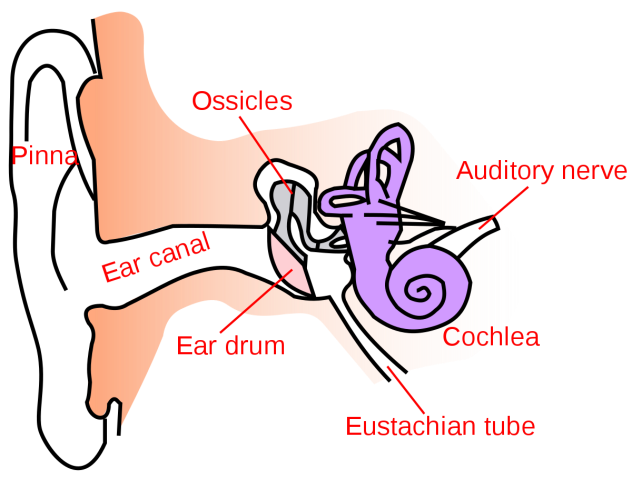 Types of hearing loss There are two types of deafness conductive and sensorineural. Conductive hearing loss: Physical problems with the movement of the sound wave through the ear cause conductive hearing losses result. Example of conductive hearing loss is blockage of the ear canal. Only 10 out of 15 cases have identifiable deafness causes. Most common hearing loss causes are infection, trauma, autoimmunity drugs, blood circulation problems tumours, neurologic problems, and problems like Meniere disease. Meniere disease includes hearing loss and tinnitus. Genetic cause of hearing loss in children need to be ruled out. Hearing loss and dementia may coexist in latter age of patients. Deafness treatment is treating the cause. But cases where cause is not known, steroid are prescribed. Hearing loss cure depends upon cause. “I had complete deafness after loud blasting sound of DJ during my son’s wedding six months ago. I had tried all sorts of treatments from specialists in Nashik and Pune but had no use. 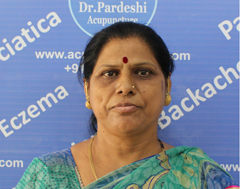 After treatment from Dr Pardeshi Acupuncture, I regained my hearing completely. Considering fact that many patients have deafness cause of which is not known and many hearing loss whose cause is not treatable, options of treatments are limited. However acupuncture has excellent scope to management of hearing loss as confirmed by various scientific studies as stated below. However, interventions combining acupuncture with WMCT (Western medicine comprehensive treatment) had more efficacious results in the treatment of SSHL (sudden sensorineural hearing loss)v than WMCT alone. Electroacupuncture alone might be a viable alternative treatment besides WMCT (Western medicine comprehensive treatment) for SSHL (sudden sensorineural hearing loss). "Conclusion: Acupuncture may be worth trying in patients with SSHL who do not respond to routine medical treatment." Ear must be protected against loud noise. No foreign objects in the ear. No use of cotton swabs to probe or clean the ear canals. No cotton balls or liquids into the ear unless prescribed by a doctor. Check and manage drugs that cause hearing loss. People who are profoundly deaf may benefit from a cochlear implant. Hearing aids and hearing amplifiers are effective and well tolerated for people with conductive hearing loss. Types of hearing aids Hearing aid machine can be behind the ear hearing aids, in ear hearing aids, digital hearing aids invisible hearing aids, small hearing aids. The best hearing aids that will work best for you depends on the kind and severity of your hearing loss and hearing aids cost that suits you. Hearing machine that you buy should have hearing aid accessories available locally. Siemens hearing aids and other firms like Phonak hearing aids are major hearing aid machines. Hearing aid prices and suitability need to be looked into before buying hearing aid machine. What Is the Prognosis for Hearing Loss? The likelihood that hearing will return depends on the cause of the hearing loss. Vertigo is a feeling of rocking, rotation, or the things spinning, experienced even when everything is perfectly still. The vertigo attack or dizzy spells may be associated with lightheadedness, fainting, nausea or vomiting. Inner ear vertigo with symptoms of feeling dizzy may be accompanied abnormal eye movements called nystagmus. If signs of vertigo last for more than few days, suspicion of stroke or CNS problems need to suspected. Vertigo is sensation of movement which is distinct from dizziness, lightheadedness, and unsteadiness. Vertigo is a personal feeling that one is dizzily turning around or that one’s surroundings are dizzily turning about him. Vertigo disease can be due to central (brain / spinal cord) or peripheral (ear) causes. Inner ear can become inflamed creating condition like labyrinthitis leading to Benign Paroxysmal, Positional Vertigo; also called as BPPV. Meniere’s disease presents with vertigo which is accompanied by deafness and tinnitus. Vestibular neuritis or labyrinthitis is an inner ear problem usually related to usually to viral infection. Infection causes inflammation in the inner ear around nerves which can cause inner ear vertigo which otherwise is important for helping the body sense balance. What can cause dizziness as against what causes vertigo? Causes of dizziness can be sudden drop in blood pressure, anaemia (low iron) and hypoglycaemia (low blood sugar). Dizziness treatment will be according to cause. What causes light-headedness? Similarly vertigo is distinct entity from light-headedness causes of which can be heart muscle disease, decrease in blood volume and anxiety disorders. Vertigo treatment by Acupuncture is effective therapy for vertigo. The fact has been confirmed b many scientific studies. Some of reports are given below. This systematic review and meta-analysis based on current evidence suggested that acupuncture may be more effective in effectiveness and improvement of clinical symptom and average blood flow velocity of vertebral-basilar artery compared with conventional medicine therapy for CV (Cervical Vertigo). Vestibular rehabilitation Vertigo treatment physical therapy is aimed at helping strengthen the vestibular system. The function of the vestibular system is to send signals to the brain about head and body movements relative to gravity. Vestibular rehab may be recommended if you have recurrent bouts of vertigo. It helps train your other senses to compensate for vertigo. Vertigo treatment maneuvers: American Academy of Neurology recommend some specific vertigo exercises head and body for BPPV. Vertigo treatment exercise is done to move the calcium deposits out of the canal into an inner ear chamber so they can be absorbed by the body. Vertigo treatment exercise video can guide you through the movements. Vertigo treatment video from expert doctors is safe and often effective. 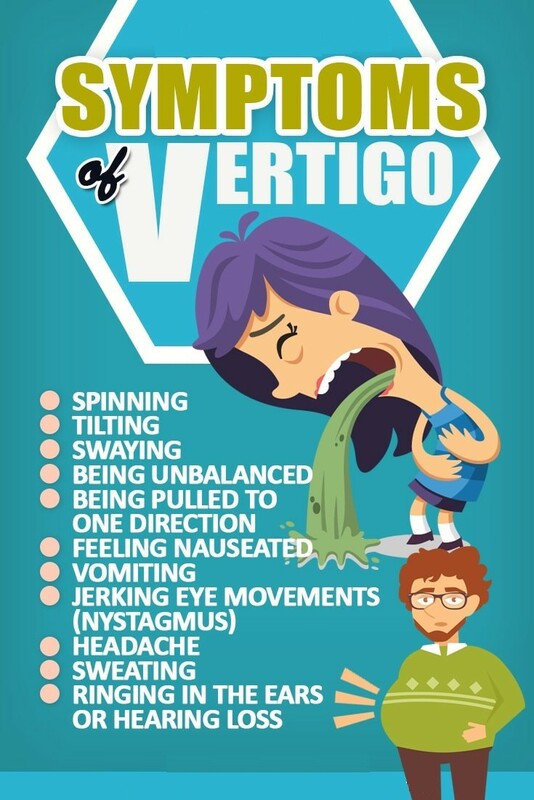 Vertigo medication may be necessary to relive symptoms like nausea.Ayurvedic and Homeopathic treatments Patients report having taken Ayurvedic treatment for vertigo and reported some relief also. Similarly, Homeopathic treatment for vertigo has also had some satisfied patients. Acupressure treatment for vertigo has limited scope. Ear tinnitus involves the annoying sensation of hearing sound when no external sound is present. Tinnitus symptoms include these types of phantom noises in ears called ear ringing, buzzing, roaring, clicking, and hissing sound. 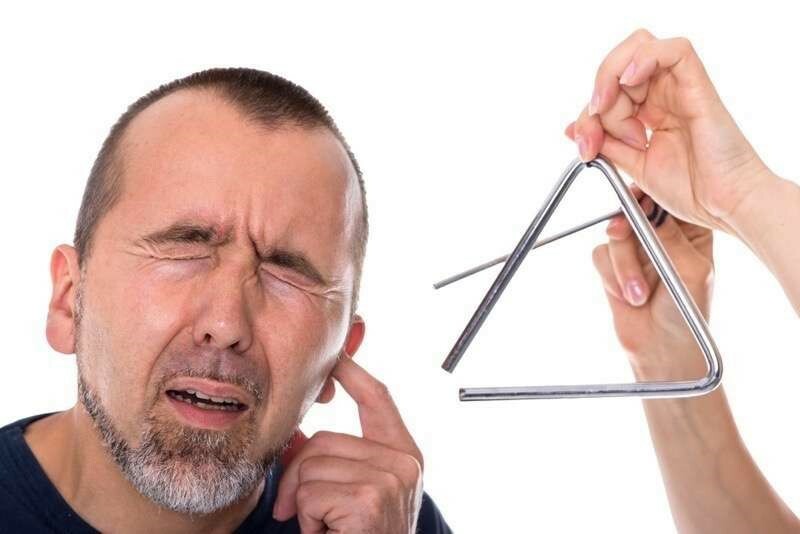 Tinnitus is the perception of ringing in ears or noise in the ears due to pathological condition, like age-related hearing loss, ear injury or a circulatory system disorder. Although bothersome, tinnitus sounds usually isn't a sign of something serious. Causes of Tinnitus can be due to due to many health conditions. In some cases tinnitus causes cannot be found. Common cause is ear cell damage which send random signal to brain about sound. High blood pressure, an aneurysm or a tumour, and blockage of the ear canal or eustachian tube can cause pulsatile tinnitus by amplifying the sound of pulse in your ears. Other causes can be age related hearing loss, earwax blockage, ear bone changes, exposure to loud noise, TMJ disorders, head injuries or neck injuries acoustic neuroma, and Meniere's disease. Some drugs can also cause tinnitus. Treatment for tinnitus depends upon underlying treatable cause. For example significant tinnitus relief can be achieved by removing ear wax. Treating underlying vascular conditions may require medication, surgery or one of other tinnitus remedies. Tinnitus cure can be achieved by changing or stopping drugs responsible for tinnitus. Noise suppression: In some tinnitus white noise may help suppress the sound so that it's less bothersome. There sound acts as tinnitus masker. Tinnitus sound therapy uses white noise machines which produce simulated environmental sounds such as falling rain or ocean waves are often an effective treatment for tinnitus. You may want tinnitus sound therapy white noise machine with pillow speakers to help you sleep. Fans, humidifiers, dehumidifiers and air conditioners in the bedroom also may help cover the internal noise at night. Hearing aids for tinnitus. These can be especially helpful if you have hearing problems as well as tinnitus. Tinnitus retraining therapy: A wearable device delivers individually programmed tonal tinnitus music to mask the specific frequencies of the tinnitus you experience. Over time, this technique may accustom you to the tinnitus, thereby helping you not to focus on it. Counselling is often a component of ringing in ears treatment. Lifestyle and home remedies can be of tinnitus help. Ringing in ears cure, needs multidimensional approach.